Willowood Abamectin 0.15LV is a low-volatility formulation of abamectin that provides the same efficacy as other abamectin brands while at the same time, reducing VOC emissions. 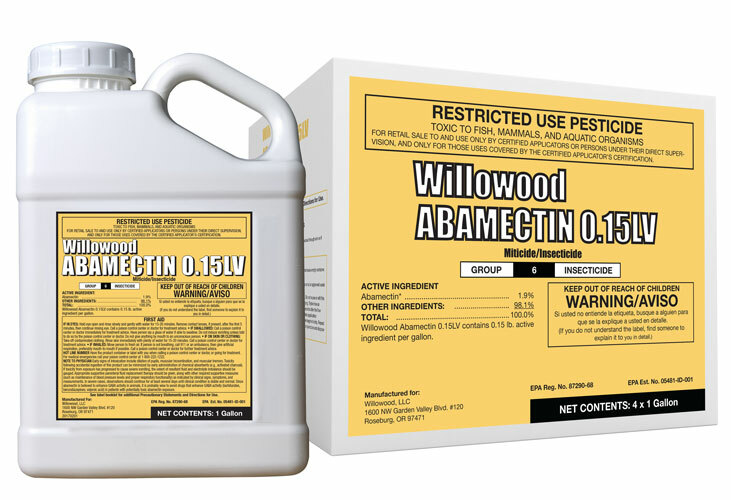 Specifically designed for areas under geographical VOC regulations, Willowood Abamectin 0.15LV provides the control you need while reducing air emission concerns. Willowood Abamectin 0.15LV contains 0.15 lb. active ingredient per gallon.